This post is a quick shout out for the Northeast Sustainable Energy Association for the solar car competition they created and sponsor. 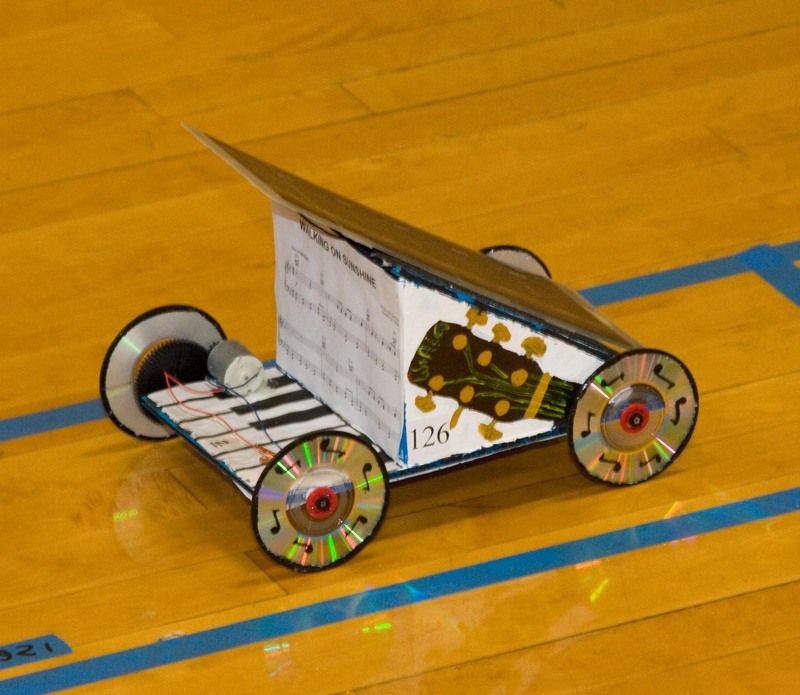 This event, called the Junior Solar Sprints, is for students in grades six to eight and involves building a small solar car that then is entered into competitions at sponsoring schools, then regionally (for the Boston area this was at MIT a few weeks back) and culminating in the finals, which were held on Sunday in Springfield, MA and included 128 cars from as far south as Washington DC to as far North as Maine. The cars are judged on speed as well as on technical merit, innovation, design and craftsmanship with the winners at each level advancing to the next event. The creativity all the kids showed was truly impressive. In an era where the quality of science education in middle school is questionable and as a country the US is training far fewer scientists and engineers than we should be, events like this that bring concepts to reality and energize the students are fantastic. Seeing the kids thinking creatively about topics such as design goals, friction, gear ratios, momentum (and how lower mass equals greater velocity for a fixed power source) is great to see. Further, the contest also sparks good discussions about energy sources and what we as a society need to do to develop more sustainable energy alternatives. If this program is not in place at your local schools, encourage them to look into how to participate.